In honor of the University of Maine’s 150th Anniversary, professor of family relations, Dr. Sandra Caron, has released a walking audio tour that seeks to feature the achievements and contributions of notable UMaine women. With the help of four students, Samantha Bradley, Lauren Powers, Hayli Weitz, Delaney Woodford and graduate assistant, Kara Capossela, Caron has been working on updating the tour for the past year. The team of women searched through alumni magazines, special collections and other university resources to update the project that Caron originally created in 2007. “I felt like there was a real need for people to know about all of the amazing women on this campus,” Caron said. Caron got the idea after taking a group of her students for a campus tour led by a male student many years ago. 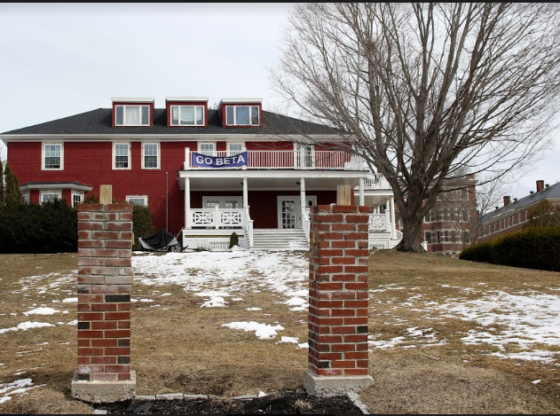 After realizing that the tour highlighted the accomplishments of UMaine men — athletes, fraternity members and male alumni and faculty — Caron decided to create her own tour to spotlight some of the university’s most successful women. The latest update of the tour is an audio clip narrated by Bradley, Powers, Weitz and Woodford and covers 72 buildings on campus, beginning on the steps of Fogler Library. Users are given the option to head north, south, east or west; each direction narrated by a different student and highlighting a specific section of campus. Caron estimates that hundreds of women are featured in the tour, although it is intended to be only a sampling of all of the work women have done at the university. Caron provided the example of the DTAV on-campus apartments. 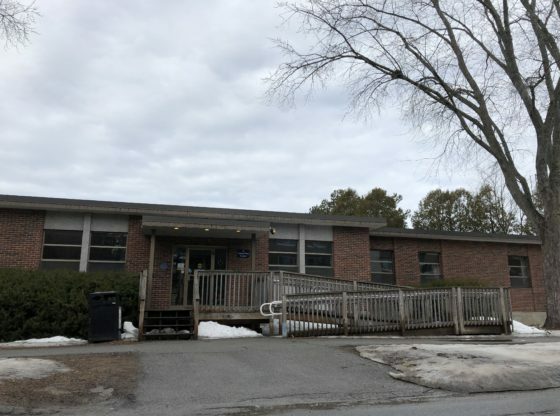 The village was named for Doris Twitchell Allen, a noted psychologist and Nobel Peace Prize nominee who studied at UMaine. 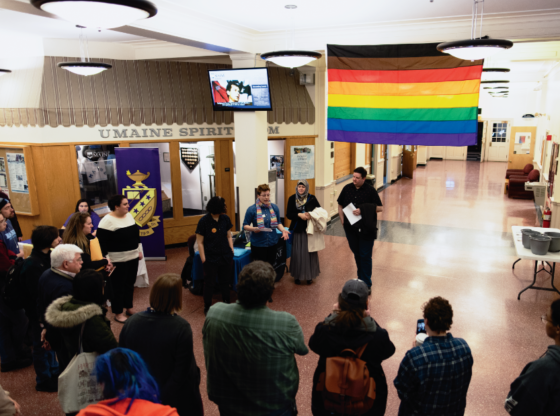 “I’ve learned a lot myself, and I’ve been here a long time,” Caron said, who received her undergraduate and master’s degrees at UMaine before becoming a member of the faculty. Caron explained that nearly every piece of information in the tour is a “tidbit” that may be news to most students. For example, how many students know that the Fighting Black Bear statue outside of Memorial Gym was sculpted by Patricia Verani? Capossela, Caron’s graduate assistant, participated in the project to learn more about the important women who have contributed to UMaine. Her favorite update to the tour is the addition of UMaine’s newest president, Susan Hunter, who was appointed in 2014. Caron hopes that the walking tour will not only serve as inspiration to current and prospective UMaine students, but as an enjoyable way to enhance a daily walk around campus. The audio recording of the tour is available on the University of Maine website at UMaine.edu/walkingtourwomen.